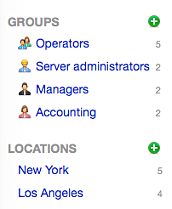 Here are some examples of groups which you might want to set up in your Team app: “Managers”, “Accounting”, “Server administrators”, “New York”, “Los Angeles”. With groups, it is easy to view lists of users who have something in common. For example, a novice will find this a cool feature to get to know everyone in the company. User groups in Team can be of two types: ordinary groups and locations. 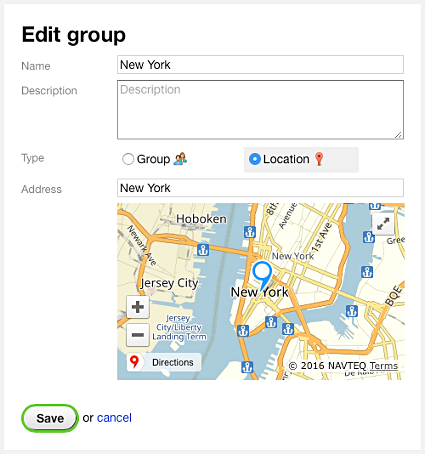 Locations differ from groups in the ability for you to enter an address, which will be shown on a Google map. 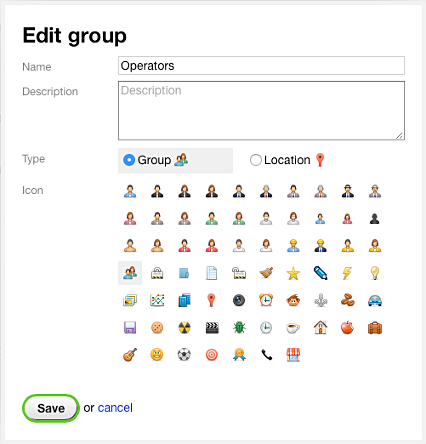 For ordinary groups, you can select an icon to distinguish it from other groups in case you have set up a long list of them. In addition to providing a convenient way to view users with common features, groups are also useful for access rights management. You can set up access rights to various apps for an entire group, and those rights will be automatically applied to all users within the group. 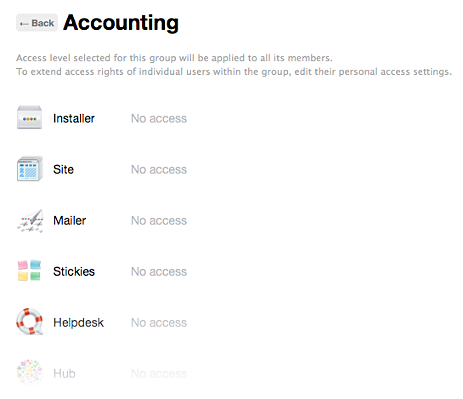 To set up access rights for a user group, open the desired group in Team app and select “Manage group → Manage access”. In the provided list of apps, click the access rights values on the right and select the desired access level values, which must be applied to all group members.